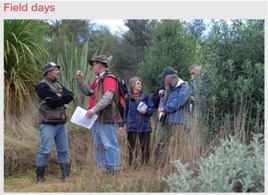 Phil De La Mare and Matt Hitchings, New Zealand Tree Grower August 2007. Ernslaw One has a planted forest area of 85,000 hectares, of which 13,000 hectares are planted in Douglas fir in Otago and Southland. In the late 1980s the Forest Service management changed to include just two species, radiata pine and Douglas fir. When Ernslaw One commenced in 1990, the pattern of replanting was 50:50. In the 1990s this was complemented with a significant expansion of new planting of Douglas fir which continued through until 2000. After World War II, the usage of Douglas Fir started to steadily increase as native timber availability declined and the use of pine framing took time to adopt. However, this familiarity of usage by the building industry was shattered in 2004 when Douglas fir got relegated into a much lower category with all the fall-out from legislative reaction to the leaky homes saga. Sales plummeted as the requirement to use treated timber for even low risk areas in timber framing meant that radiata provided the only option for pressure treatment. This crisis in the Douglas fir industry spawned the establishment of the Douglas-fir Association to lobby for legislative change, and promote the use of the timber. For some time, the Douglas-fir Association tried to regain acceptance of untreated framing. The difficulty was that as Douglas fir is a refractory species, it repels moisture which made it difficult to treat. Ironically, this same characteristic also assists with maintaining board straightness and durability, contributing to Douglas fir being the preferred framing species in the south. Fortunately new treatment systems arrived which ensured that the old boron standards could be implemented again, breaking the stalemate with the regulators. To comply with NZS3604, the H1.2 treatment standard requires 0.4 BAE boron to be contained within the boards. Some sawmills are achieving this by forcing active ingredients into the wood using various wet pressure treatment systems. Ernslaw One Ltd’s sawmill has preferred to use Kop-Coat’s patented dry Tru-core system. This process achieves the required boron loadings by using a chemical mixture which allows the boron to quickly penetrate to the core of each board. Health and safety, environmental and commercial benefits are making this product highly sought after. Treatment was still a bitter pill to swallow, since the real solution to leaky homes was with design and workmanship, not in treating the symptoms. However, commercial survival was more important. The battle had been lost but not the war, so 2006 saw some recovery of the market share which had been lost in the years before. The next change to the industry was a positive one. With the imminent change to machine stress grading requirements in April 2007, the industry had to prepare itself. The resource was sampled and tested, the results of which showed that most logs would produce timber achieving MSG 8 with much of the volume achieving MSG 10 or better. 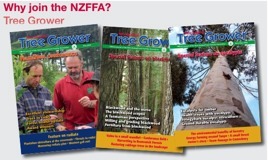 Radiata in comparison came a very poor second in Otago, Southland and Canterbury, with only Nelson showing any comparative stiffness properties close to Douglas fir. For many in the industry these results did not come as a surprise, rather it validated what was already known. Douglas fir is an excellent framing timber, it is strong, stiff, stays straight and is good to work with. For Ernslaw One, the differences between the species in terms of economics resulted in changing to all Douglas-fir and dropping radiata from our South Island forests. For us the changes were painful and commercially damaging. Three years loss of revenue for Blue Mountain Lumber which could never be made up, and the loss of Naseby Lumber which was too small to install a treatment plant. However, since April 2007, we have exceeded previous sales levels and are able to supply a grade of timber in very strong demand by the domestic building industry. Log supply now constrains production. Timber demand means buying and transporting additional logs from as far away as Canterbury. This is a complete turn round from three years ago. Stiffness testing has also reinforced the use of conservative silvicultural regimes. Lighter thinnings and higher residual stockings, combined with sheltered locations all combine to provide for higher stiffness. It has brought about the re-introduction of radiata shelterbelts for exposed Douglas fir stands, a practice European foresters introduced to West Otago 100 years ago. No doubt this was to improve stem form, but until recently was not fully appreciated. As a company and an industry, we have survived a severe blow, but we have all come out the other side wishing we had a greater resource of this wonderful species.